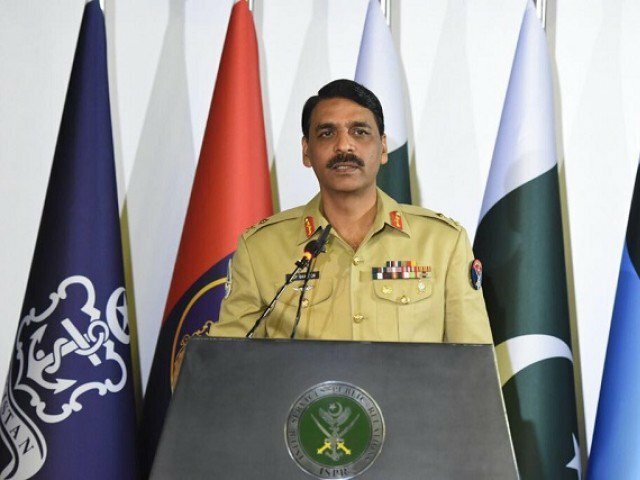 ISLAMABAD: Director General Inter-Services Public Relations (ISPR) Major General Asif Ghafoor has said that Pakistan has established peace on its side of the border with Afghanistan, stressing that US and the Afghan government should bring the Taliban militants to the negotiation table. The chief of the army’s media wing expressed these views during an interview with a private TV channel Tuesday night. “It’s not that we’ll tell Taliban to negotiate and they’ll come to the table. We don’t have influence over them,” he said. “Pakistan is a member of a board involved in talks with Afghanistan so we will play our role but we are not responsible for bringing them to the table that is for the US and Kabul to do,” he added. Speaking about American Principal Deputy Secretary Alice Wells’ meeting with Army Chief General Qamar Bajwa, the ISPR DG said they discussed security matters regarding Afghanistan and Pakistan. “If there’s no threat then nobody is more willing than the army to go back to the cantonments,” he further said. Responding to a question about Tehreek-e-Labbaik Ya Rasool Allah (TLYR) chief Khadim Hussain Rizvi’s arrest orders, the ISPR DG said that if the court has directed his arrest then the government and police should follow, army has nothing to do with it. “The court is supreme and its orders should be respected,” he added. On Tuesday, an anti-terrorism court (ATC) had declared Khadim Hussain Rizvi and other party leaders as proclaimed offenders in cases related to the last year’s Faizabad sit-in. The Labbaik leader along with other religious activists are facing multiple charges, including terrorism, in several cases that were registered in 26 police stations across the federal capital after the Faizabad protests. He added that no written document or policy document has been issued on the doctrine. Negating that army chief gave any statement regarding 18th amendment, he said that empowering provinces is a good step towards countering security threats. “Capacity building should be done,” the ISPR DG added. According to reports in the media, the army chief during the off-record meeting had expressed concerns over the 18th Amendment and Benazir Income Support Programme (BISP), ostensibly for fiscal reasons, and expressed an all-out support to the judiciary in case of a standoff with the political forces. The ISPR DG reiterated that the army does not have any role in the announcement or timeline of general elections 2018. “How can I say when they’ll happen or how,” he questioned. About the recent clashes in occupied Kashmir, the ISPR DG said it’s not right to say Pakistan is not doing anything regarding the situation in occupied Kashmir. “The government has addressed these issues and the Foreign Office and premier have spoken about it,” he added. On Sunday, at least 17 people were martyred in addition to 50 injured by Indian troops during cordon and search operations in Kashmir’s Islamabad and Shopian districts, according to Kashmir Media Service. On Monday, the civil and military leadership of Pakistan had condemned Indian brutalities in Occupied Kashmir valley and announced to observe April 6 as ‘Kashmir Solidarity Day’, a day after Indian security forces killed at least 20 Kashmiris, alleging them of militancy, prompting a complete shutdown in the restive valley for two days. He added that there has been a “phenomenal reduction in attacks in Balochistan, particularly Quetta, in the past six months”.